Positioned high above the bustling crowds in Newcastle upon Tyne are colourful space invader mosaics which often go unnoticed by visitors or locals. Installed in 2006, by a French artist simply known as ‘Invader‘, the art installation is part of a worldwide series of over 30 works based upon the late 1970s computer game. The most recent invasion was in Sao Paulo, Brazil. Other locations include Paris, New York and Mombassa. Eldon Lane in the centre of the city. However a number of others seem to have appeared since the first invasion according to a number of other websites. High Bridge, Newcastle – next to the old entrance to Waygood Gallery. Above the newsagent on the corner of Pudding Chare, off the Bigg Market, Newcastle. The steps walking up to The Sage Gateshead from Baltic Square. Next to Waterstone’s, near Grey’s Monument, Newcastle. In The Baltic, Gateshead, on the side of the stairs.On the corner of Pink Lane and Westgate Road opposite Cross Street. Next to the Quayside below the railings on the side of the Baltic Flour Mill. It seems as if some confusion exists as to where all of the space invaders are in Newcastle. Have any been lost to history? 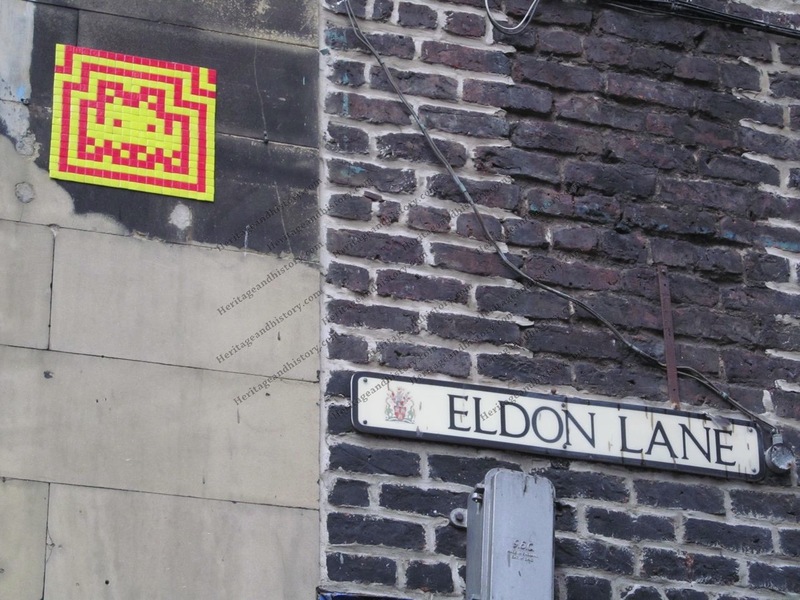 Some websites indicate that possibly mosaics were installed as part of an Urban Art exhibition and others that ‘Invader’ came back to the city to finish off his work. Can you help. Let us know via the comments area below or via the contact us form .